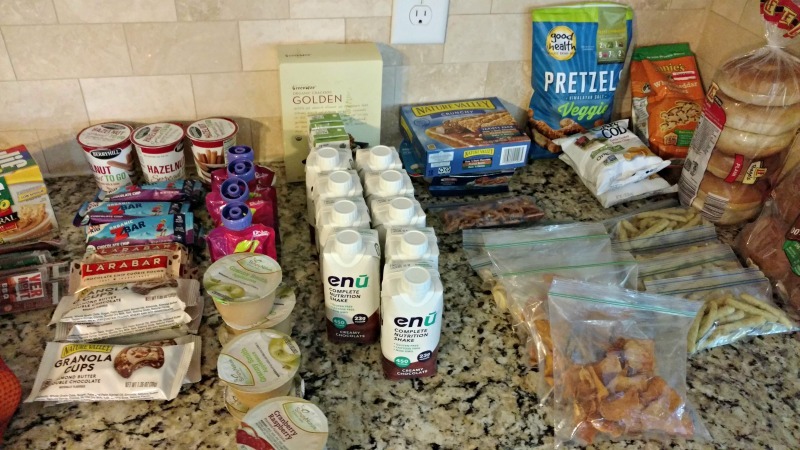 Traveling with Food Allergies: Tips and tricks and how to safely plan, prepare and pack for a trip despite dietary restrictions from food allergies or chronic disease. I just sent my 12 year old to his first overnight camp for an entire week!! Any fellow parents out there can relate to that feeling that comes the first time you send your child off for a week without you—fear, worry, doubt, and anxiety may cloud your mind. Throw in a chronic disease, like Cystic Fibrosis, and a food allergy—and that anxiety and fear may escalate to the point that you are ready to say, FORGET IT! We were there this past week. This is when parenting is HARD. Really hard. Do you let the food restrictions or disease dictate your life, or do put in the effort to accomodate your restrictions you/your child, can do the things they want? We opted to empower our son and say YES to this trip. We sent him to camp with meals, with medications, with electrolyte solution, and most improtantly with PRAYERS. And as I packed allergy safe meals for an entire week for a child that needs at least 3500 calories a day, I realized that so many of YOU would benefit from this information. So I am here to break it down for you. Make it easier for you. Empower YOU to take that trip or let your child take that trip. It can be done! Contact the leaders of the group you will be traveling with, the facility where you or your child will be staying, restaurants they are visiting and ASK specifically about you/your child’s allergy/restriction. Is the facility exposed to nuts, any risk of cross contamination of eggs or soy, etc. If you hear ANY hesitation that food is safe, assume it is NOT safe. Better safe than sorry. And sometimes, you will be amazed and the facility is BEYOND capable of hosting your family. Ask specifically if there will be access to a fridge, microwave, silverware, dishes, etc. You need that information to know how to pack. Will the facility be able to provide beverages, milk for cereal, some snacks, or it is all up to you? Don’t be afraid to ask for a refund for the food portion of the trip. That extra money can help cover what you need to pack for food! Start by writing down all the meals/snacks you or your child will need over course of trip. Don’t be overwhelmed. One step at a time. Place that on your fridge, several weeks prior to trip. As you make some of your favorite meals, jot down ideas on your meal list. 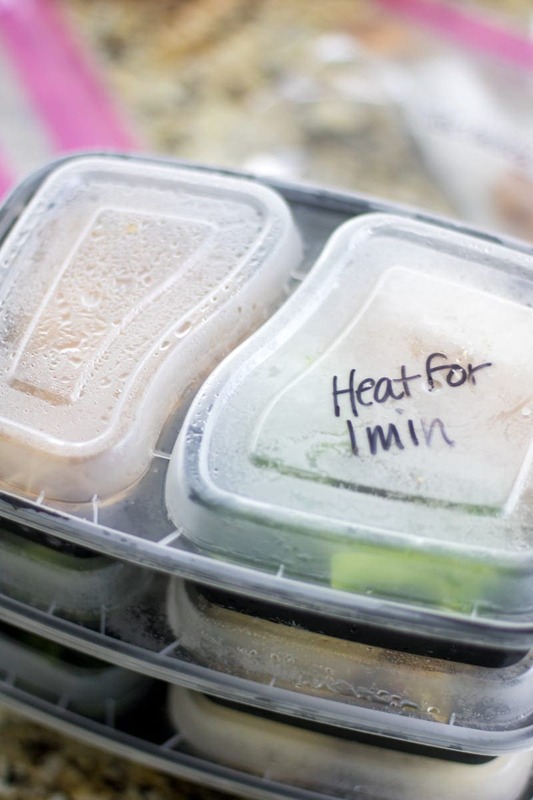 Better yet, make extra and place into freezer and microwave safe containers and freeze in preparation for the trip. As I prepare for trips, I make extra muffins for breakfasts or snacks, and freeze leftover meals for a great option for trip. Get 4 large gallon zip lock bags and slowly fill with ice and store in your freezer, so you don’t have to buy bagged ice at the last minute. Pack an epipen if needed. Allow your child to carry in a cute bag or back-pack at all times if allergies are severe. If not, be sure to teach leaders/chaperones how to adminster epipen and the importance to have at all times. Give consent for facility or leaders to administer medical treatment to your child if needed. I find baby carrots and cherry tomatoes hold up well too to travel. Oatmeal Packs: Place 1/2 cup quick-cooking oats in baggie with nuts, protein powder, dried fruit, cinnmamon, etc. Add 1 cup boiling water to packet in bowl and serve. Muffins. I like make Paleo Lemon Muffins, Blueberry Muffins and freeze ahead of time. Freeze greek yogurt packs ahead of trip. Make pancakes and freeze ahead of trip. Be sure to add small container of jelly or maple syrup as well! Ham and Cheese Sandwiches or Peanut Butter Sandwiches–make and freeze ahead of time. Pulled Pork and Baked Potatoes (slit baked potato open and place pat of butter in it with salt and pepper and then freeze before trip). Package Buns with meal. Baggies of salad for first day or two. Mircrowave Safe Containers (BPA Free): These were essential for me. As I made meals, I placed into container and froze. Then I was ready to put right into cooler right before leaving. I also labled each meal and how to reheat. Cooler: I didn’t use any fancy cooler, just one on wheels (like this) I placed 2 gallon size bags of ice on bottom of cooler, all the frozen/fresh food in my bags right into freezer and topped with 2 additional gallon size of bags. 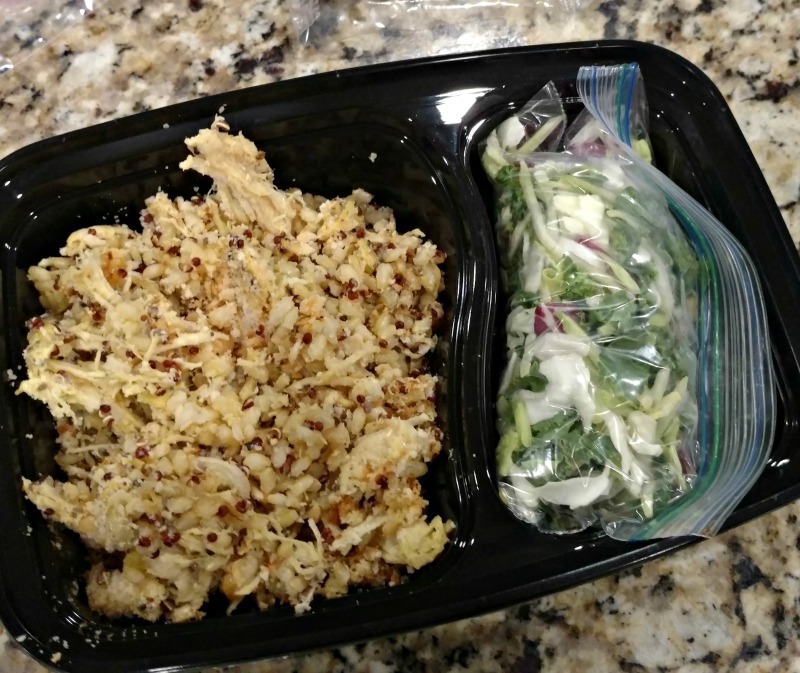 Box with Lid: I placed extra snacks, a few extra microwave shelf-stable meals to use as last resort, granola bars, meal replacement shakes (medical grade) and electrolyte packets to add to water bottles. Ice Bags: I wanted this to be SO easy for my son to manage. I had 4 gallon size bags of ice total. I used gallon size bags, so they could be easily dumped in hotel sink and refilled at hotel ice machine. I placed 2 on bottom of cooler and 2 on top and instructed my son to change daily. Because everything was frozen, I knew that the food would stay safe and cold for the 12 hour trip to the camp as well. Final Tip: LABEL IT ALL!!! Don’t assume your child or your child’s leader can create meals from a bunch of random food, or that they know how to reheat things or that they will remember whose food is what. If you take the time to plan, you can eliminate most of your stress and EMPOWER your child to take that trip despite their limitations. Check out my Facebook Video where I show you EXACTLY what I sent with my son–you are sure to gain a few more tips! Such great ideas whether you have kids with allergies or not. Great tips to keep kids healthy while traveling over the summer. Thanks Karen! Making food at home always is healthier! This is absolutely wonderful and so helpful! I’m bookmarking it for future reference, because it’s so handy to have all these tips and lists of what foods to take in one place! I’m allergic to nuts, so it’s always a pain trying to find foods and read through all the ingredients when other people bring food or I’m at BBQs/picnics! Annie–I really hope this helps you out! Love the way you handled the situation so your kid could go on a trip! Some great tips here! Thank you for these practical ideas. I don’t have food allergies but I avoid dairy and wheat so I have to be careful when I travel. You sure do, hope these tips may help you as well. I agree, planning ahead is always smart. And yes, you really need a PB ad J muffin–so good! What a great post! I’m sharing on my FB page later tonight as I know so many struggle with this! Great job friend! This is phenomenal! So glad Tate could make the trip! I know this post will be so beneficial to others. Great post. It is really risky to travel when you are extremely sensitive to certain foodstuffs such as nuts or seafood. Since travel is so important to me and my family it’s become of my big goals to find out the finest method of eating out on the road. Thanks for including so many helpful links! 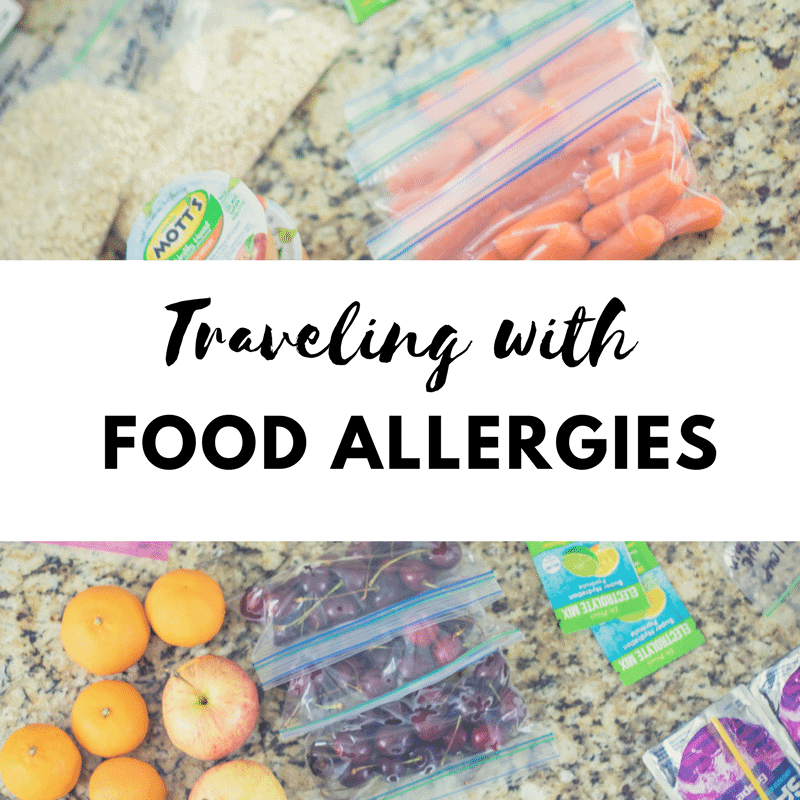 Travel with food allergies is so hard, but you can do it!!! It is all about being prepared. Happy traveling! 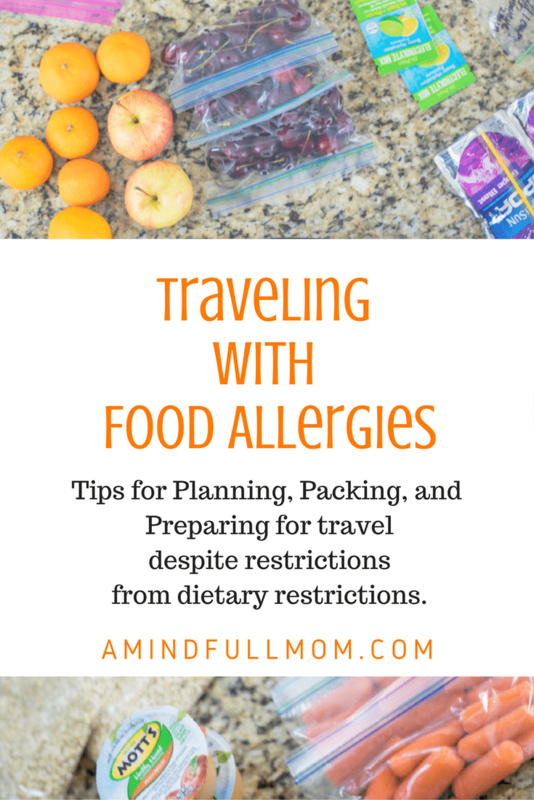 Since you mentioned that one should inform the place where a child will be staying at about his or her allergies, it reminded me of another tip on how to avoid allergic foods on trips. When ordering on delivery, one must ask the restaurant whether they can cook their food to make it allergen free. Not only will this help the child enjoy his food but also keep him healthy as well. That is a great point Tim! Thanks for sharing.